From Beginner to Intermediate in 4 weeks. Jeff Bishop is a member of mensa and uses his decades of trading experience to teach and alert options in the Millionaire Roadmap. Jeff also LIVE streams his real-money TD Ameritrade options portfolio to Millionaire Roadmap clients daily. Jason spent $70,000 in tuition over 6 years in college plus loss of income for a Masters in Education to teach in NYS public schools. Hired immediately out of college he made $429,804 from 2001 - 2011 teaching. Over the 16 years he averaged $22,500. After leaving teaching in 2011 he recorded this 8 hour instructional course with 12 concise lessons. Following the lessons he's now made over $500,000 in trading profits in 4 years while teaching thousands of clients his strategy. That's $125,000 yearly compared to $22,500. Buy this DVD and take control of your future just like Jason did. Trading options is a lot like playing cards. If you're playing Blackjack at a casino, would you rather be the HOUSE or the GAMBLER? Over the long run, you really want to be the house, right? Let me show you how. 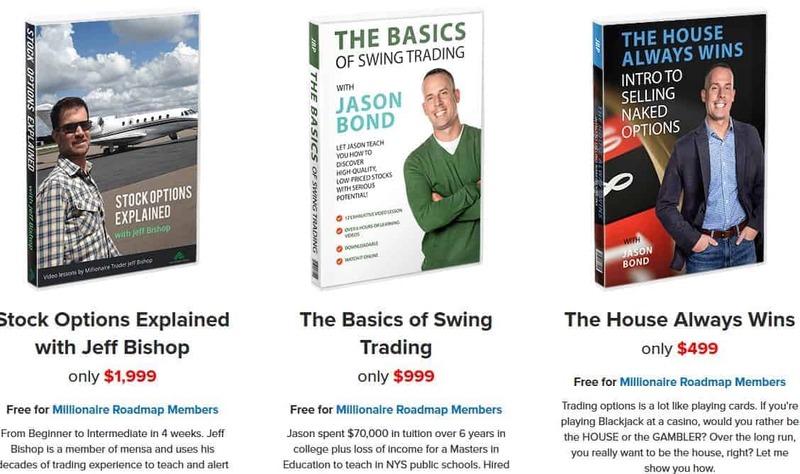 In the first 3 months of 2016 Jason's made 110% +$110,000 swing trading part time. That's more money in 3 MONTHS than he made teaching in his first 3 YEARS. Let Jason show you how to get ahead in trading and in life.